Experimenting with traditional poetic form is not a new concept. John Keats wrote his poem ‘On the Sonnet’ warning of the dangers of constraining the ‘muse’ to strict form. Imagist poets like Ezra Pound and Amy Lowell adapted the haiku form to English-language verse. Where there are rules, there are rebels. But the act of experimenting with form is arguably less about rebellion and more about determining what said form is really capable of achieving by exaggerating its conventions. In hindsight it can be said that most poetry is to some degree a reaction against the poetry that came before it, but that the act of ‘reacting against’ is in itself a kind of homage. Poetry that deliberately sets out to experiment with form is the most transparent kind of poetic homage, validating the traditional form for its potential relevance to contemporary culture. Let’s say you hit the target. What’s the point? It’s not like you really win the donkey. Quick! Hide this ghazal deep in your Qur’an. To Ramadan, and dine on the Qur’an. 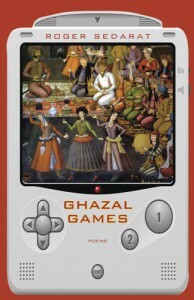 Aside from these subtle variations on the ghazal form, Sedarat has literally made games out of some of the poems, encouraging interactive readership – a rare feat for a book of poems. There is a true/false challenge, a match the poet to the couplet, and the reader is even challenged to illustrate (if only mentally) each couplet in the poem ‘Ghazal Game #9: Illustrate the Comic Strip’. This is all more than just for entertainment. 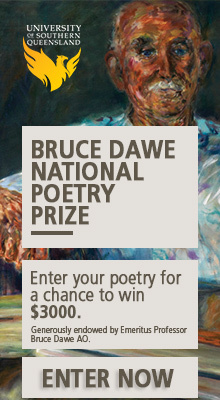 The poet is actually demonstrating the numerous narrative values of the classic poetic form. All Persian poems now rhyme with Neda. We know it’s a state-created myth, Neda. We die online, in real time, with Neda. As a woman and a feminist, I have to disagree – objectification hadn’t entered my mind until I got to those lines. There is a lovely admiration for female sensuality in the poem that actually demonstrates her power over him, and, more importantly perhaps, his willingness to be overpowered by her. Further, as a Persian woman, to read about another Persian woman in a contemporary Western publication outside of the context of whether or not she should be allowed to wear a hejab was a very welcome relief. At last I could read something that humanises the Middle Eastern woman in amongst all the bad politics and frantically opinionated rhetoric. (Poet’s wife after work) “I’m one fried banana. Ali Alizadeh’s review of Petra White’s The Simplified World on the Heat Poetry Review stirred up some heated discussion of what constitutes radical poetry (amongst other things). Some have suggested here on the Overland blog that in order to be a published poet in Australia, a degree of conservatism such as an adherence to traditional lyric aesthetics which is usually the result of academic study is paramount. Roger Sedarat’s book is evidence that academic study and paying homage to a classic poetic form can be radical, both aesthetically and in subject matter. Tara Mokhtari is a Persian-Australian poet and screenwriter based in New York. She is the author of The Bloomsbury Introduction to Creative Writing and Anxiety Soup. Beautiful review. Succinctly phrased, yet stating all the details I needed to make an assessment of the book. If only the mX had done you such justice.